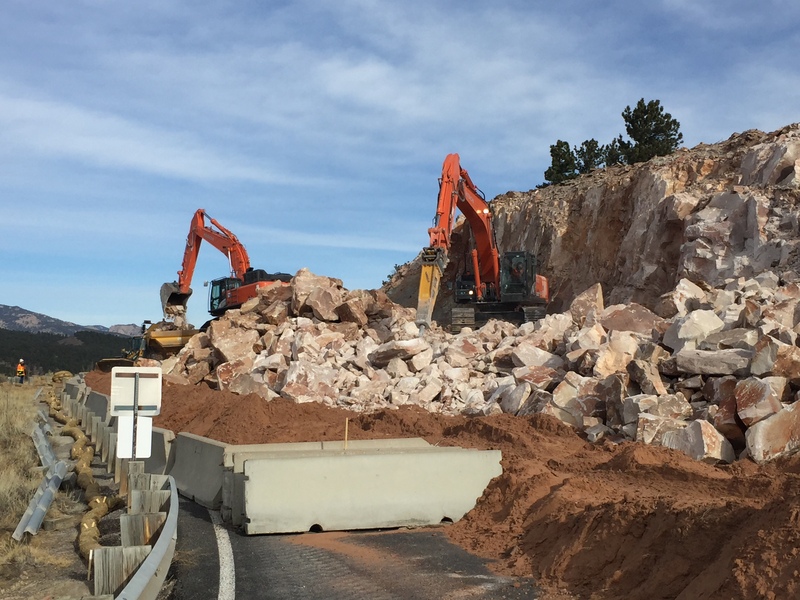 Larimer County contracted with Harrison Western to perform a rock scaling project near Carter Lake to reopen a public road. The work included installing appropriate sediment control barriers, removing and reinstalling traffic control devices, placing imported cushioning material on the roadbed to prevent damage to the roadway during construction, using a hydraulic excavator mounted hoe-ram at the top of the road cut to excavate and break off overhang rock, hand scaling, removing material to the designated disposal area, and spraying a four- inch layer of shotcrete. Work was performed immediately adjacent to a US Bureau of Reclamation Dam and Reservoir (USBR). Collaboration with many parties, which included County Engineering, USBR, the Water Board, residents, and other stakeholders, was required to secure the mandatory permits and easements.